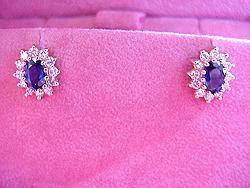 Beautiful gem quality 5 x 7mm Sapphires accented with 16 round brillant diamonds set in 14K gold with friction posts! 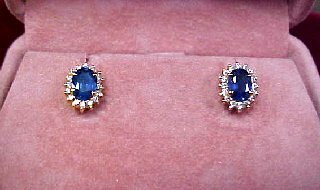 Beautiful AAA quality 1.75CT TW deep Blue Sapphires mounted in heavy 14KW gold baskets. 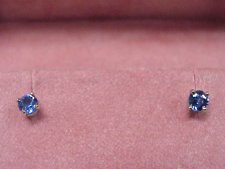 2.16CT TW AAA gem quaility round Blue Sapphires. 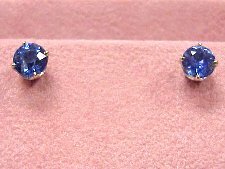 These Sapphires are set in 14KW baskets with screw back fasteners. 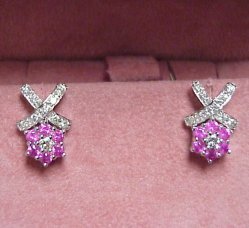 Its HOT PINK time! 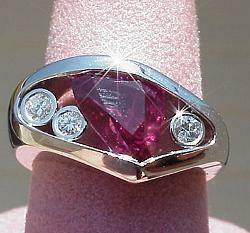 0.63CT TW bright, Hot Pink Sapphires set in 14KW gold. 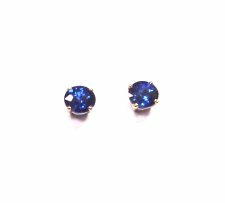 This is a beautiful matched pair. Don't miss out! 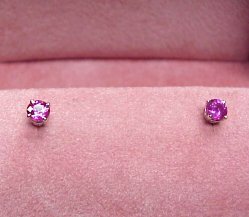 These have 24 round brilliant cut diamonds of G Color, SI Clarity, surrounding 1.18CT TW oval cut PINK Sapphires! 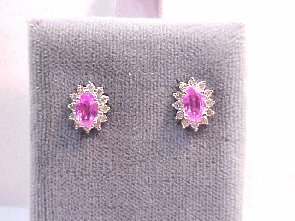 Mounted in 18KW gold - stunning and priced to sell! 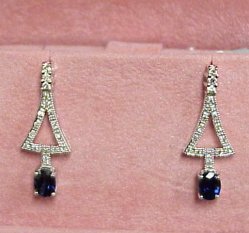 Intense 3.2CT TW Pink Sapphires set in lever back style mountings creating the perfect earring set in 18K gold!